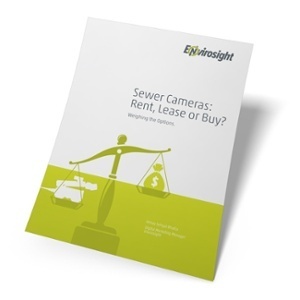 Sewer Camera: Rent, Lease, or Buy? Deciding whether to rent, lease or buy a sewer camera is rarely simple. The decision requires a close look at your business model, access to capital, and the technological needs of your crew. At Envirosight, we researched the relative merits of renting, leasing and buying, and compiled our findings in this free white paper.